If you're a smart shopper, both the high and low ends of the price range can be the most alike in quality. The middle-road shoppers sometimes get the least value for their dollar--even when they shop at "everyday low price" stores. I love it! By using creativity and effort, I can produce the highest quality product for less than the mediocre price. 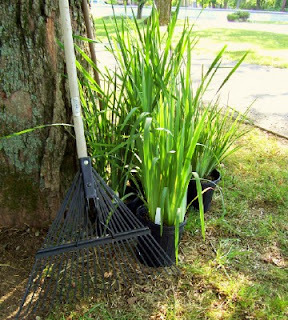 Perhaps you want to landscape beds in your yard. 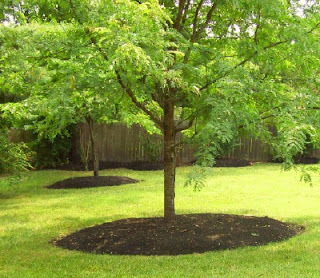 The most expensive option would be to hire professionals to berm, edge, and mulch for you. The cost is high, but with a fine result. The middle-road shopper might go to Home Depot and purchase $50 in decorative edging and mulch, then spend a Saturday installing the beds. 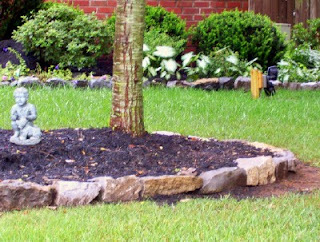 The low-budget landscaper might spend one day gathering free rocks and spend another Saturday installing the border. 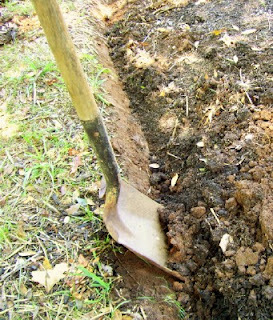 The cheapest landscaper might take a flat-bladed shovel and dig a sharp trench, using mulch or compost for top dressing. 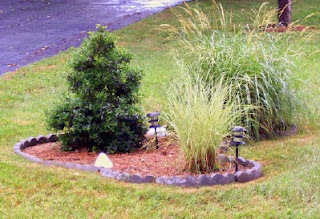 Which landscaper spent the least...and got the result most similar to the expensive job? Here's a Raymond Waites designer frame. I saw it first in a catalog for $19. Then, I spotted the same frames at Dollar General. 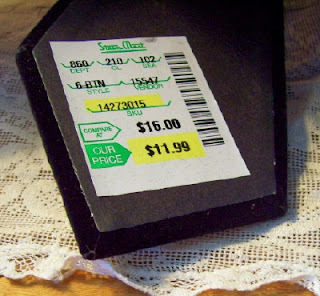 They still had Steinmart price tags inside, marked $11.99. The Dollar General price was only $5. A few weeks later, they went on clearance for $2.50. 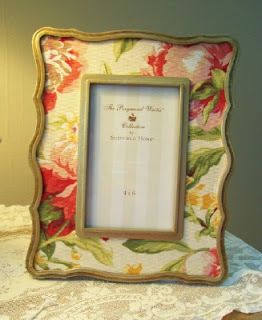 Someone with more time than money could cover an old frame with leftover fabric. This spring a friend and I admired the Siberian iris at a local garden. I priced plants at the nursery, but they cost at least $10 a pot. Walmart's bulbs ($3.97 a package) never came up at my old garden. This weekend I visited the last hour of the Iris Society sale. The volunteers were so nice, they sold me 8 of the full grown plants--$5 for the LOT. These examples came from the last week alone. I'm sure you have your favorite stories of getting an expensive result for less. Keep your eyes open for quality, and the bargains will find you! You made me so proud of my husband again-remembering how he did that least expensive, luxerious looking method for landscaping! I am really enjoying this week! I just wanted to tell you that your posts inspire me! I love seeing your frugal ideas for living well on less! I've given you an award. Thank you for your post! It is so encouraging for me to stay in our budget. And your blog is such a blessing to me. God Bless, Carrie. We live near a fabulous Farmer's Market. Sunday afternoon, you can get produce and plants extra cheap, because some farmers only come in for the weekend, and they don't want to haul their stuff back only to have to discard it. My mom got 10 bushes for $30 during one visit. 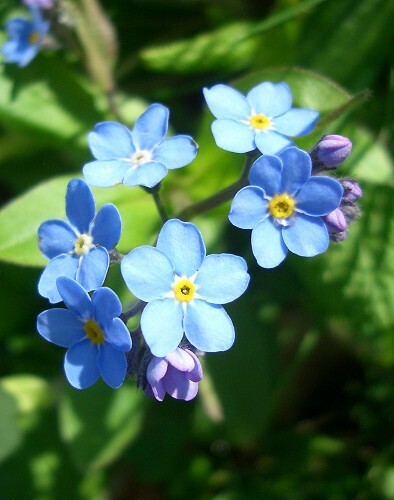 I think I saw a floral fabric tablecloth pictured on your blog. It was very "old" looking and very pretty...think the table was set w/ floral dishes outside. Can you tell me where to find that picture?